We have 680 sq. ft. of shooting space available for rent by professional, student, and amateur photographers. As well, another 700 sq. ft. of space full of props! Parents wishing to have a DIY session of their own are also very welcome. The studio has two Westctt TD6 lights, high speed internet, washroom facilities, and a small kitchenette. 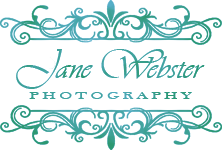 The studio is attended at all times by a member of Jane Webster Photography (in the office area) to ensure your stay with us is a smooth one and any problems are dealt with immediately. $100 + HST per hour (use of studio props and backdrops are included) additional hours added to the same session $60 + HST per hour. For contracted REGULAR use at lower rates please message. Payment for your session is payable in advance to reserve your time in the space. $100 non refundable deposit required. Your Visa/Mastercard number is required and will be billed for any damage to the property or for full replacement of any damaged contents caused by you or your clients. At no time is Jane Webster Photography responsible for you, your equipment or your clients at anytime whatsoever. Due to Jane's constant and insatiable quest for new props and backdrops, we have amassed a large selection of studio props and over 100 backdrops, all of which are available.